One of the recurring characteristics of many of our masters is a love for teaching that persists throughout all their years of training. Helping others learn and the joy it brings comes up again and again as you talk with them and hear what’s in their heart regarding the martial arts. Master Kevin Tolderlund is no exception. In fact, his favorite part of Tang Soo Do is teaching and seeing others learn. He has always believed the meaning of life is not about himself but what he can share with others and if he didn’t share, he feels he would be depriving himself. This love for Tang Soo Do has been passed on to Master Tolderlund’s children, Kadie and Kevin Jr. Both are Cho Dan Bos. Their father first began training in 1978 in Meridan, Connecticut, “mostly due to Bruce Lee.” He and his brother trained together and were quite wild when they were younger. They would go to tournaments and stand at opposite ends of the line, eventually they would eliminate all the competition and end up competing against each other for first place. When Kadie was born, Master Tolderlund stopped training to spend more time with his new family. After two and a half years, his wife Karen knew that something was missing from his life and encouraged him to go back. He hasn’t stopped since. 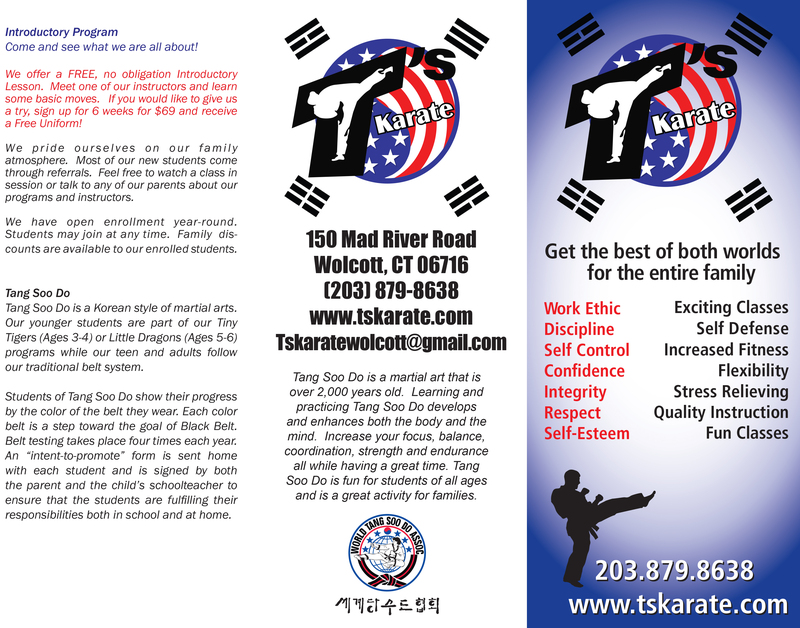 In fact one of the reasons he drew his children into Tang Soo Do was to be able to spend more quality time with them. They now share his love of the martial arts. Teaching definitely influenced his master’s thesis. “I wrote on teaching and learning throughout life. There is always much more to learn, so don’t waste time. If you decide to do something, do it all the way with your whole heart. Use what you learn to the best of you ability. And most importantly, don’t forget what you learn, it costs a lot to get it back later in life.” His one regret is that he did not take school more seriously when he was young. He took it for granted and did not realize how important it was as preparation for the future, both in allowing a greater choice of occupations and in helping to shape who he would become later on. With all this emphasis on teaching, you would think Master Tolderlund is a teacher professionally. Actually, he is a self employed construction worker. But it goes to show that no matter what your occupation, you can also be both a teacher and a learner.